Remember that song from the early 90s that goes like this: “I’m looking at you, you’re looking at me, we’re looking at we. You know I can’t stop, how I feel… “ Well, I was reminded of that song the other day when Lena and Niko were gazing over at each other while showing off their swing skills. Yes, Lady Lena and Baby Niko are swing partners (at less than one year old). Not to be confused with the once popular dance moves, but actual swing partners, like on a swing set. They looked so cute when I took these pics and it reminded of that old song mentioned above, by After 7. Each of them were taking turns looking over at the other until finally there was that moment where they locked eyes. So while their swinging remains the type that takes place on a swing set, who knows maybe in a couple of years they’ll be busting out the old school dance moves as well! PS – It’s posts like these that Niko may one day roll his eyes over! Ha. I sometimes wonder: what will he think of this blog, and the fact that I’ve meticulously documented every “milestone” for the world to see? Time will tell I guess. Note: Have you ever been certain of song lyrics in your head only to find out years later that you’ve been singing along with the wrong words? I’m sure it’s happened to everyone at least once! 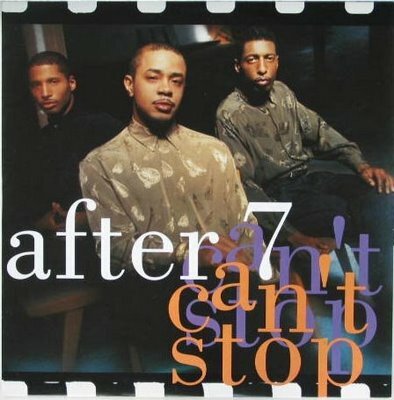 Anyway, I had one of those moments today when I was looking up the You Tube clip for “Can’t Stop” by After 7. All these years I’d been grooving to the words: “I’m looking at you, you’re looking at me, we’re looking at we, etc…” But now I’ve discovered the error in my ways: replace all “looking”s with “digging”s. Oopsy. Anyway, for the sake of the adorable Nikolena Swing Team I’m leaving the clip in here, seeing as I honestly thought “looking” was in the lyrics and it just fits so nicely with the pics! 2 Responses to "Swing Partners"